Businesses face a complex range of challenges. They must respond to a changing economic, technical and political climate. New and growing businesses have unique needs while others need support in areas such as HR, recruitment, marketing, planning, cost-savings, waste management and more. Therefore, knowledge and partnership working is key to helping local businesses flourish and ensuring the town centre thrives. We will continue to supply expertise, influence and partnerships to ensure a wide range of supporting services are available. Please explore this section to learn about our business support services. If there are any local issues that are affecting your business or you have ideas about how we can support your organisation, please contact us. 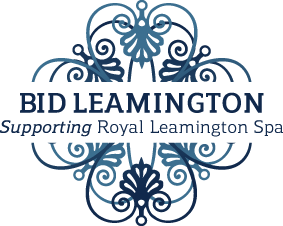 Over the next five years, BID Leamington will deliver projects under the following project areas. Further details can be found in the 2018 -2023 Business Plan. Please follow the link below to view project highlights and achievements over the last five years.